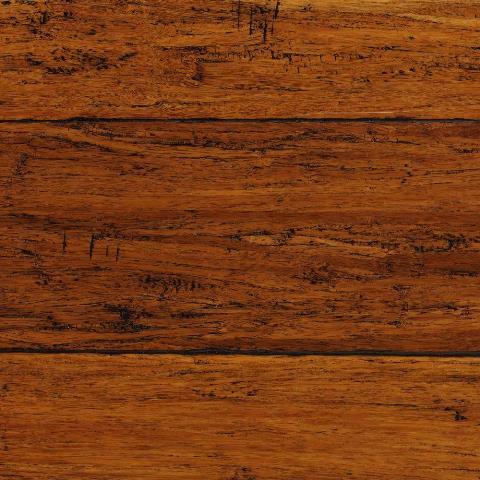 Sealed with a 7-layer finish to protect against daily wear and tear, this flooring's vibrant, warm harvest tone places an elegant touch on any room in your home. Its hand-sculpted design creates a vivid texture and uniqueness in each plank, suiting a variety of decorating styles. It has been tested for more than 10,000 volatile organic compounds - including formaldehyde - and passed the FLOORSCORE Indoor Air Quality Certification, meeting the highest safety standards. 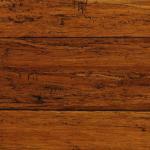 With its tongue and groove profile, you can install this flooring on and above grade. Install into homes with room temperatures between 65 and 75 degrees F and a relative humidity of 35 to 55 percent; otherwise, it may affect the dimensions of the flooring (see installation guide for more details). 25.625 sq. ft. per case and case weight: 43 lb.